Set in the nineteenth century, World Odyssey (The World Duology, #1) follows the fortunes of three young travelers as each embarks on an epic journey. Their dramatic adventures span sixteen years and see them engage with American Indians, Barbary Coast pirates, Aborigines, Maoris and Pacific Islanders as they travel around the world - from America to Africa, from England to the Canary Islands, to Australia, New Zealand and Samoa. 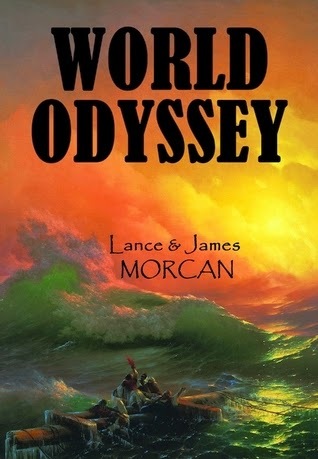 Written by father-and-son writing team Lance & James Morcan (authors of Fiji: A Novel and The Orphan Trilogy), World Odyssey is an historical adventure published by Sterling Gate Books. World Odyssey is an epic, a story that follows the tumultuous lives of three different people – Nathan, Jack, and Susanna. In this first novel, their lives are separate from each other, and by the end of the novel, they arrive in Fiji, though their paths have yet to cross. Lance and James Morcan have a wonderfully easy style of writing, simple but descriptive, fast paced yet detailed. It is a comfortable book that one can fully relax into because of its steady flow and lovely prose. It is a prequel to their first book, Fiji, but each book stands alone and you don’t have to read them in the order they were written in. For the three main characters, there is change and danger at every turn. From travel on land and then on the high seas, I was intrigued and completely pulled into the story from the start to the end of this book. I loved reading it as much as I loved Fiji. I highly recommend that you get both of these fabulous epics!